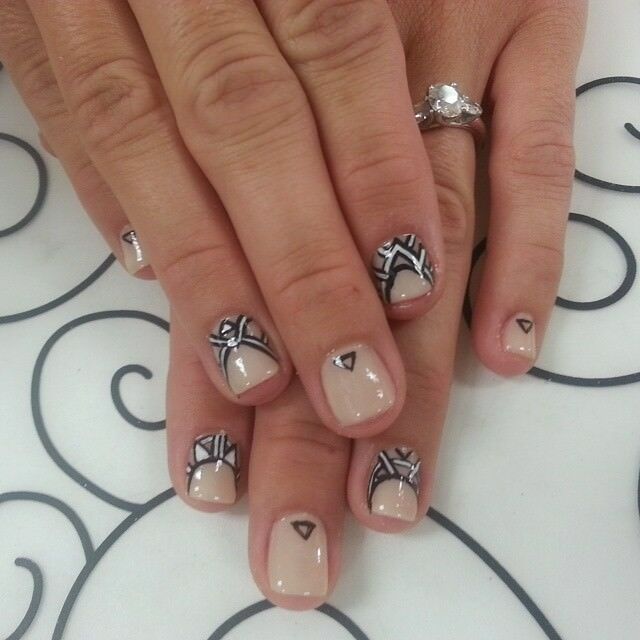 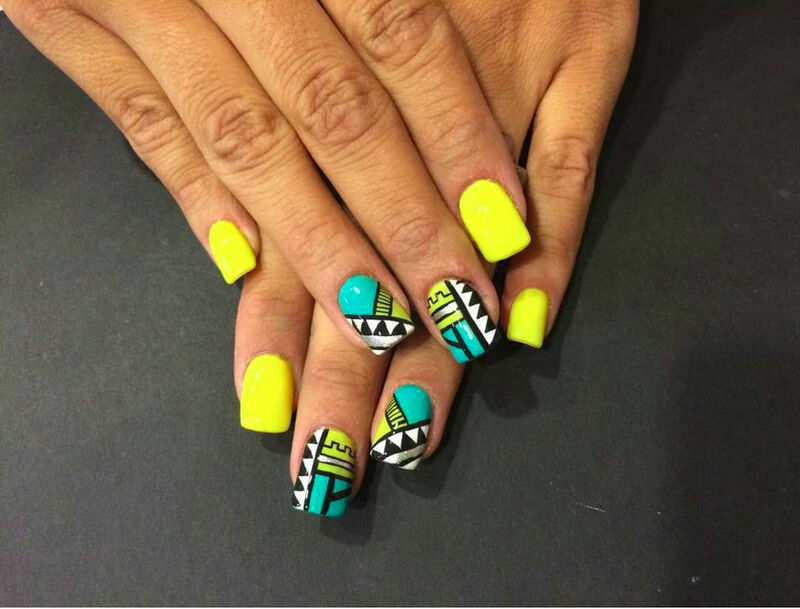 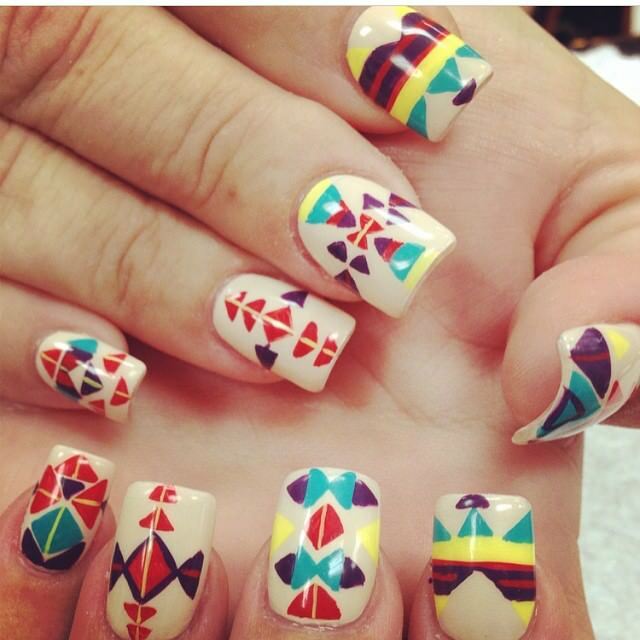 Tribal nail designs can create quite a vibrant and spectacular look in a woman. 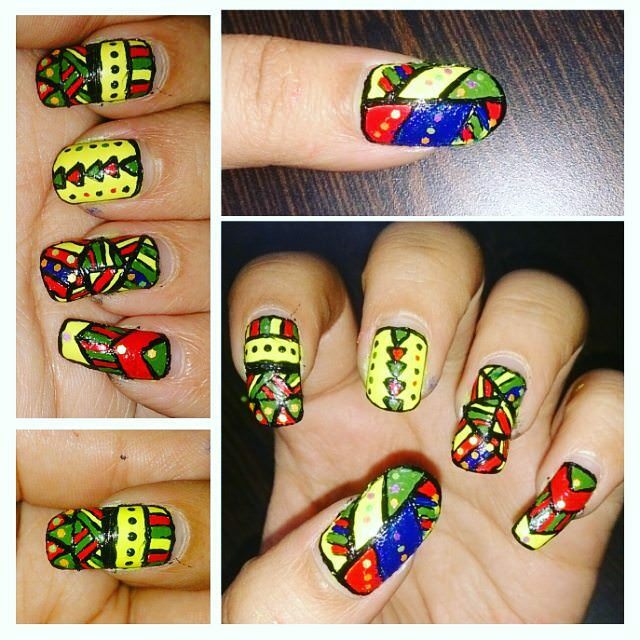 These nail designs are usually made up of diverse motifs including dots, stripes, triangles and other geometric patterns. 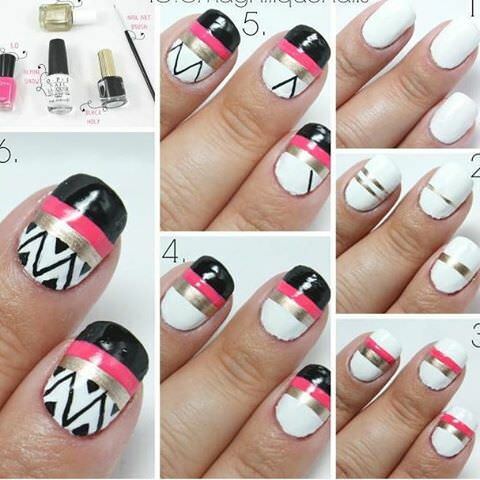 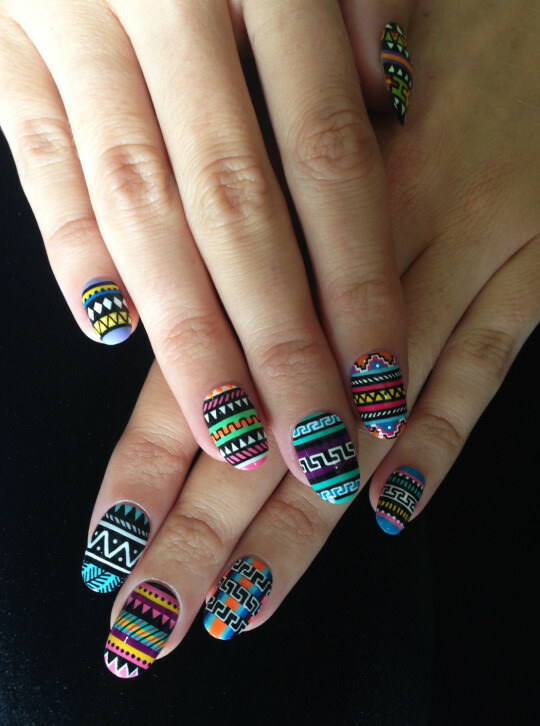 The nail styles can work perfectly well with brightly coloured nail paints. 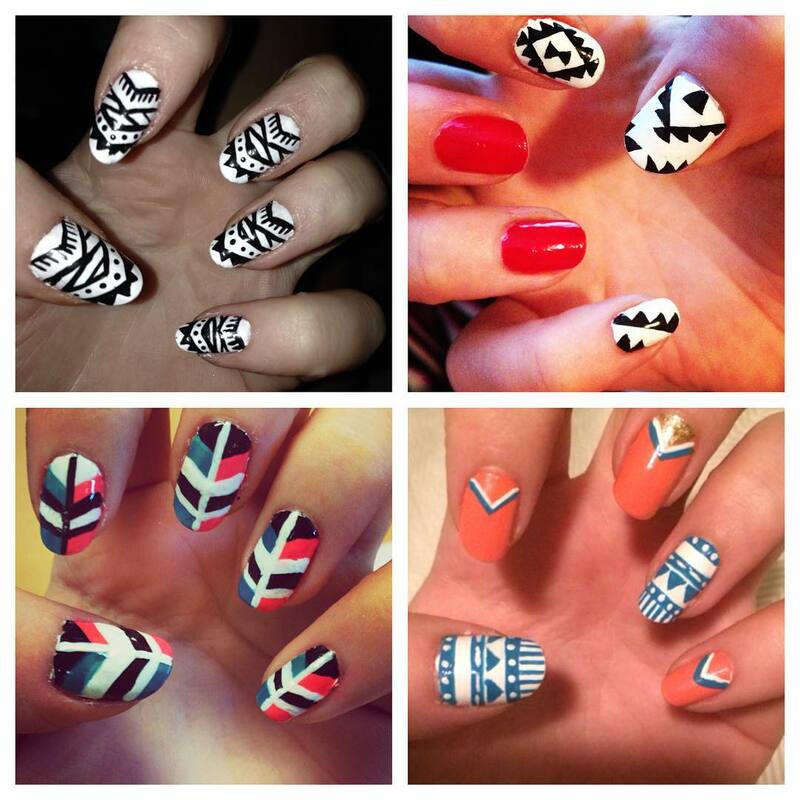 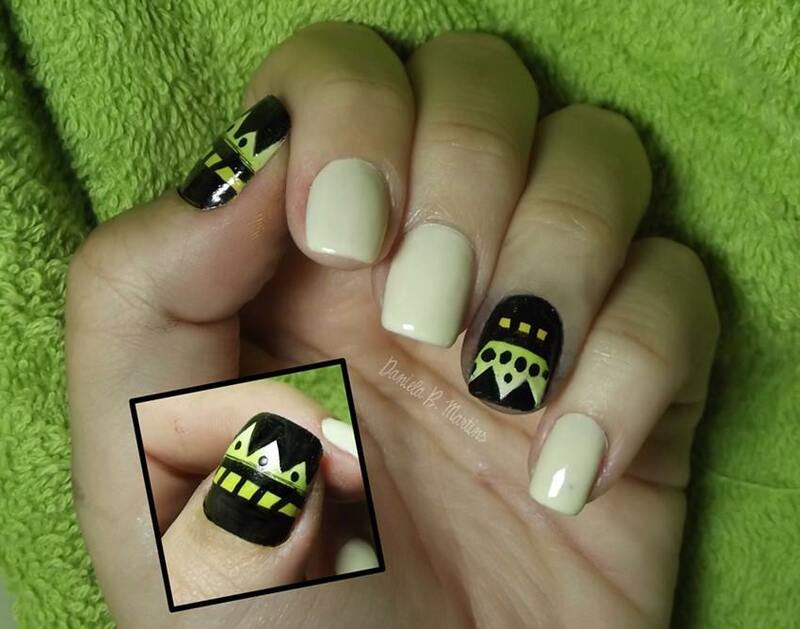 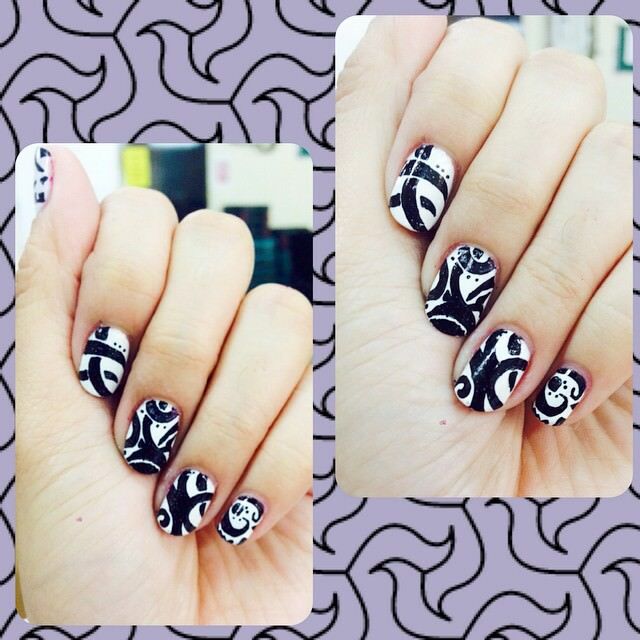 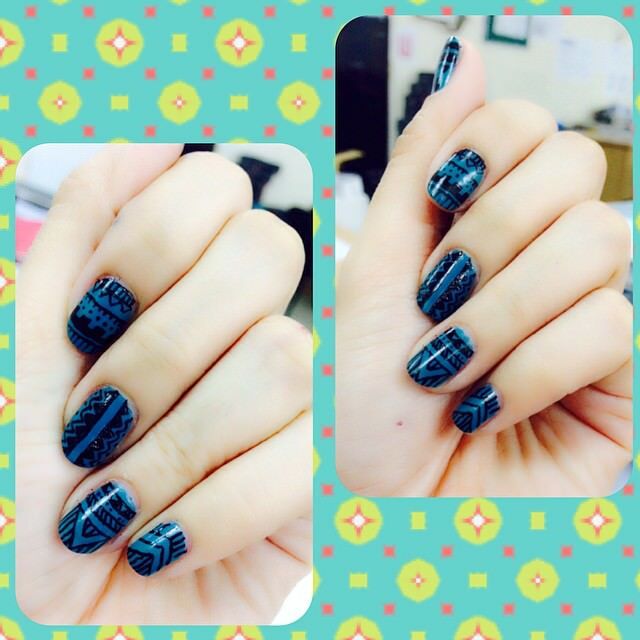 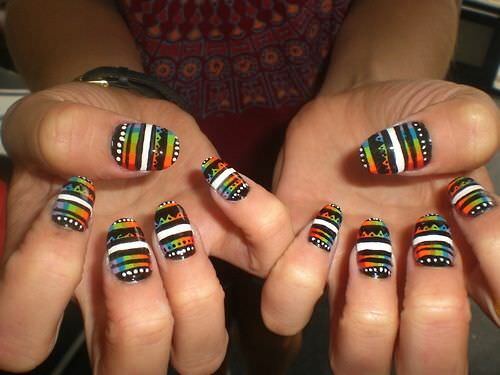 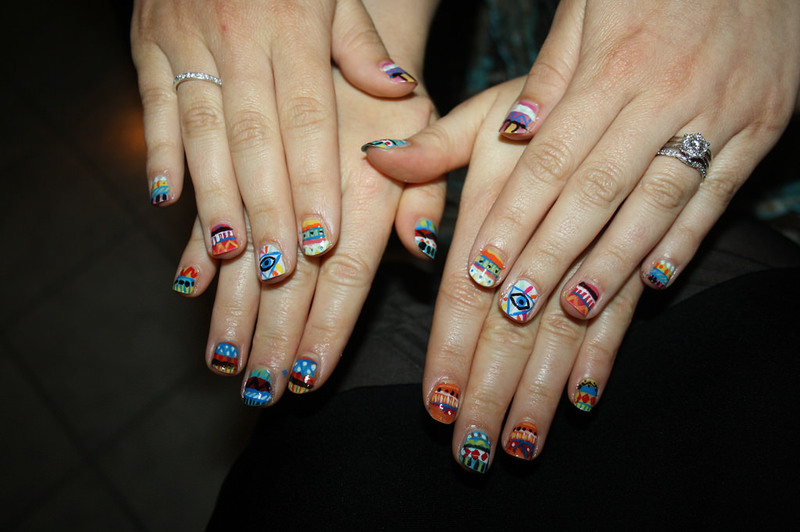 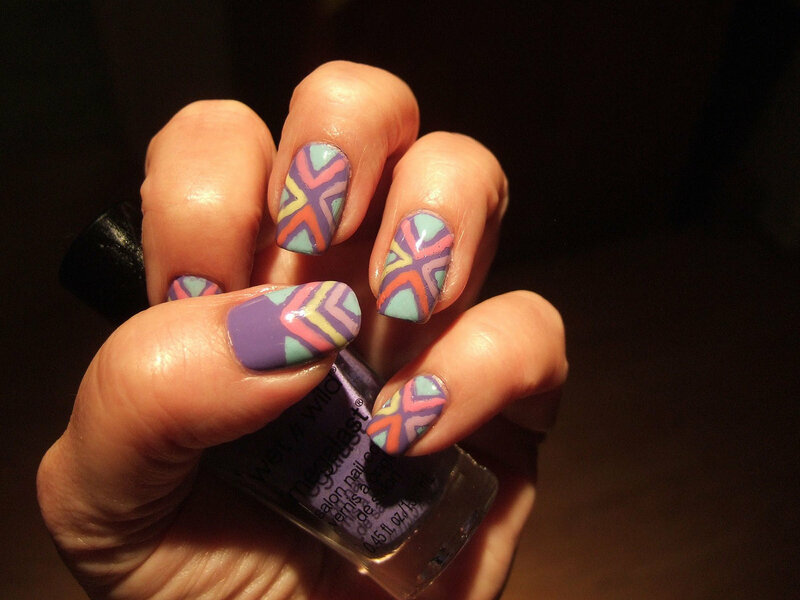 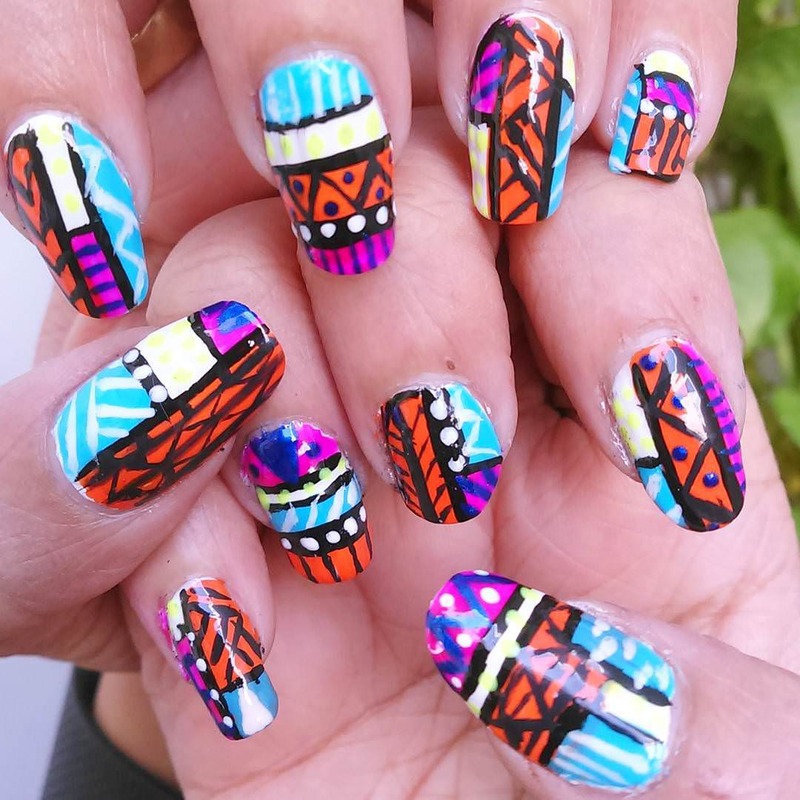 All tribal nail designs have a common theme – being abstract! 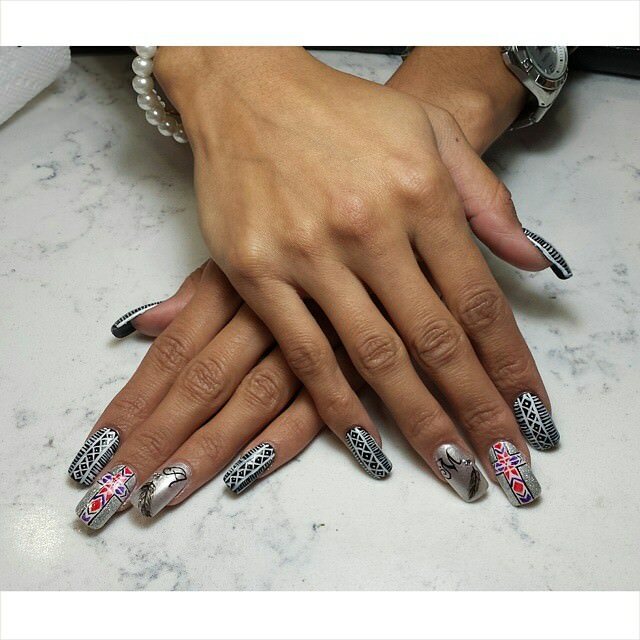 The styles can be customized easily by adding some unique patterns such as flowers or leopard motifs. 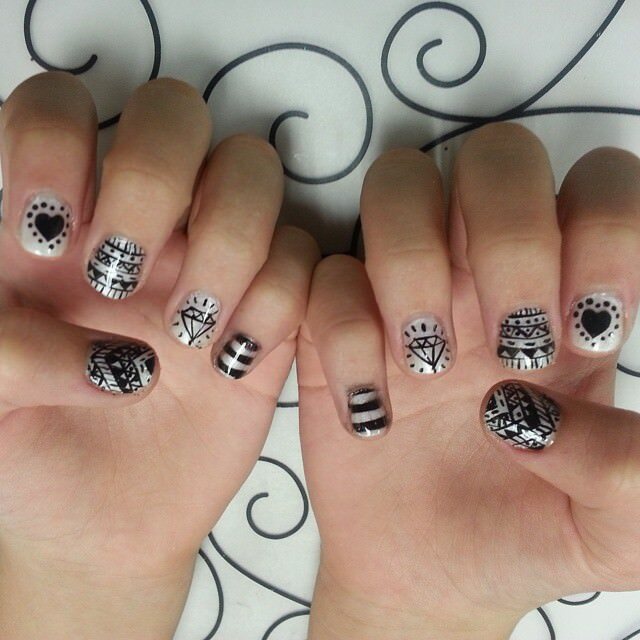 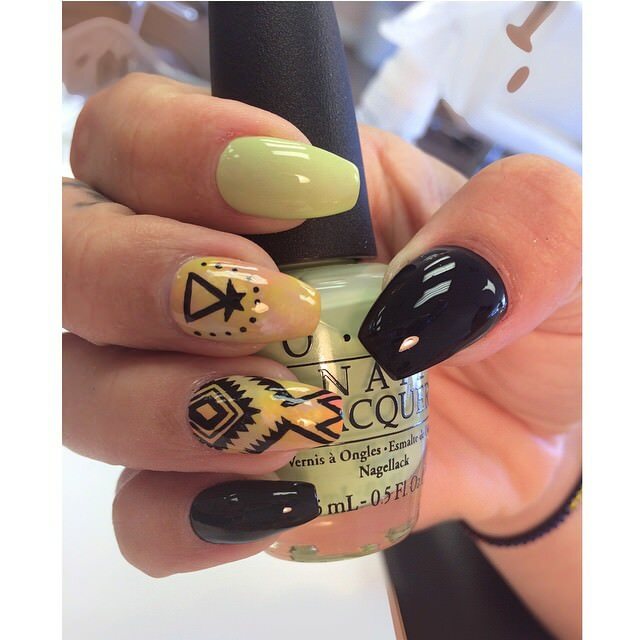 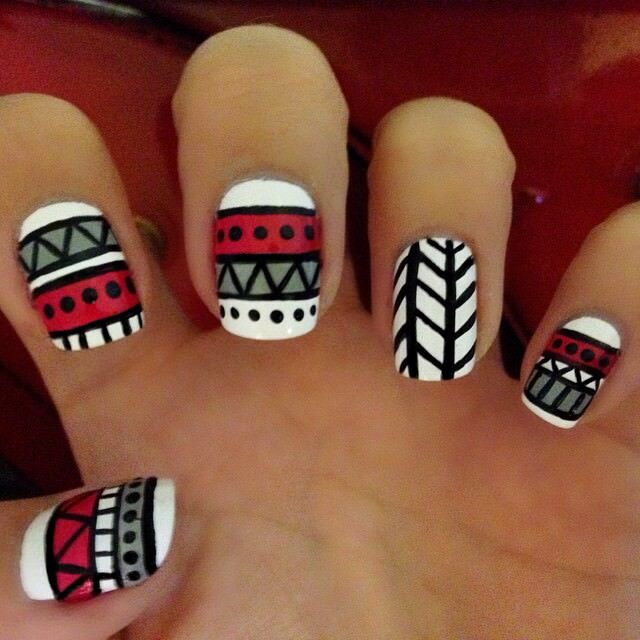 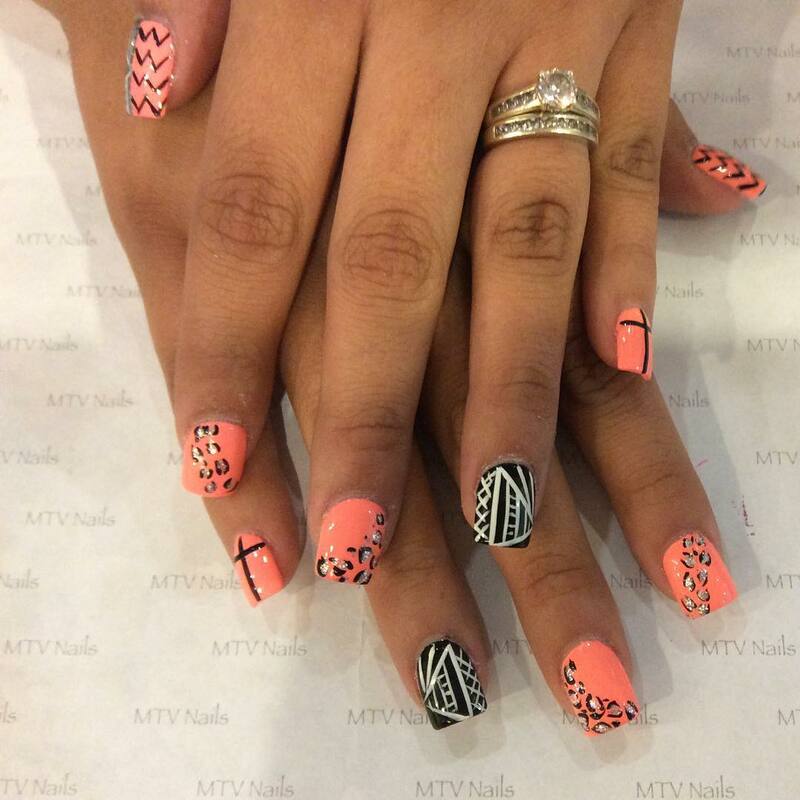 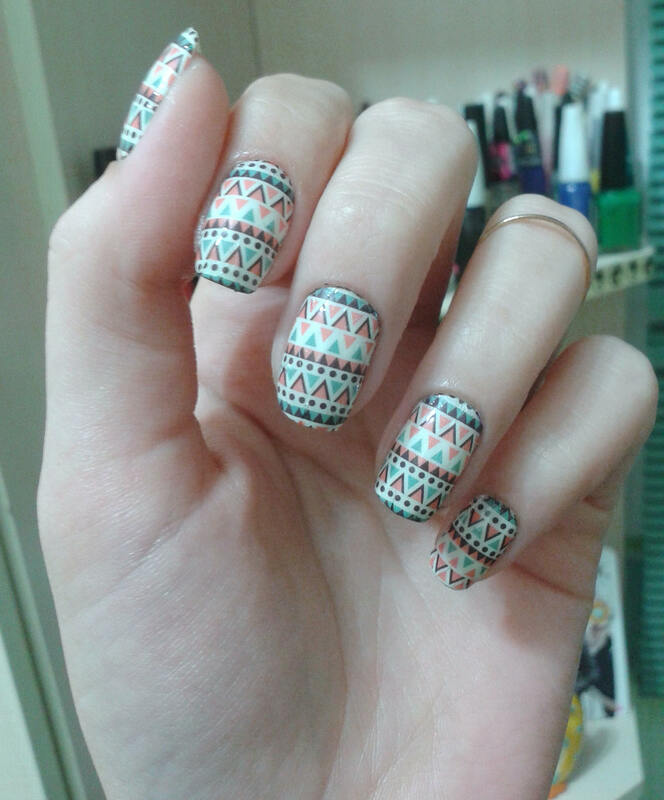 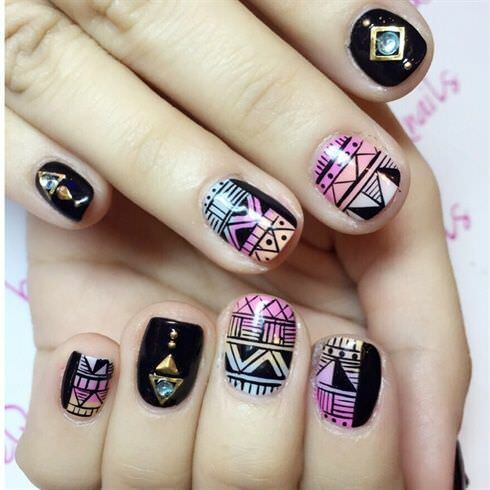 Tribal designs work perfectly well with oval and square nails. 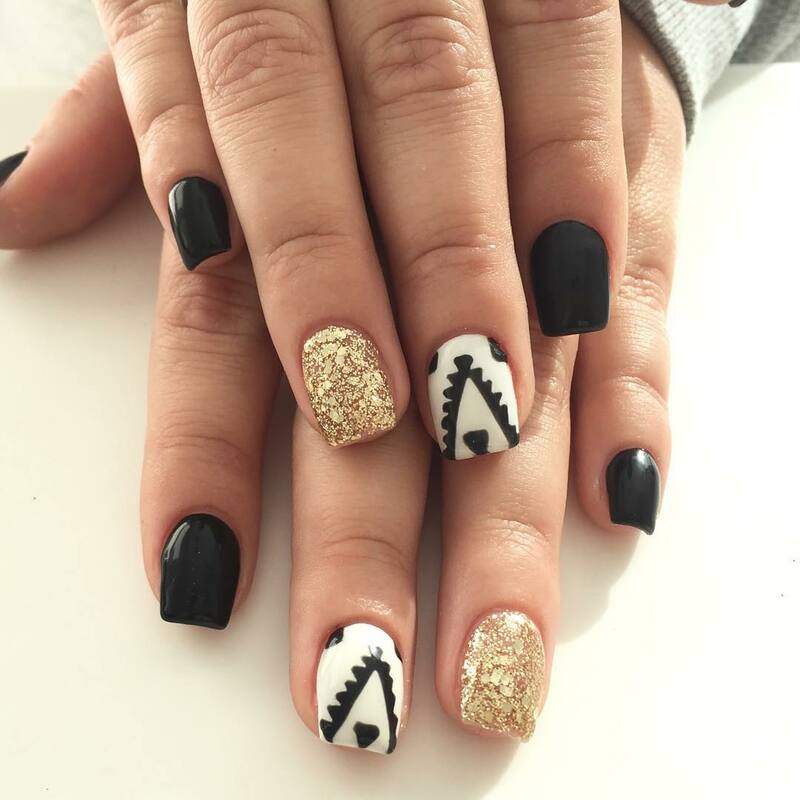 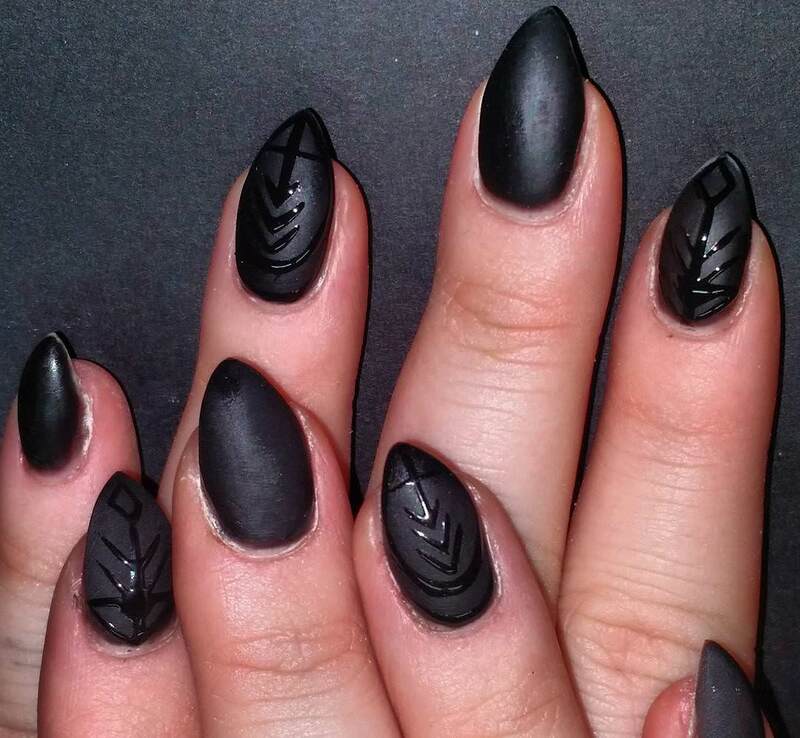 Plus, you’ll find it completely fascinating to have them on your stiletto nails on a chic black and white colour blend. 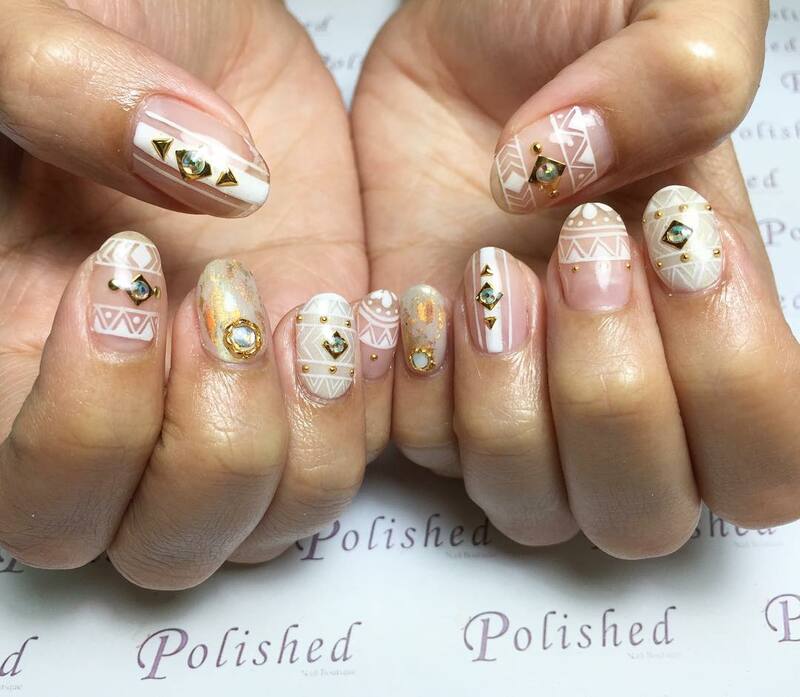 Want to take it to the next level of peculiarity and posh? 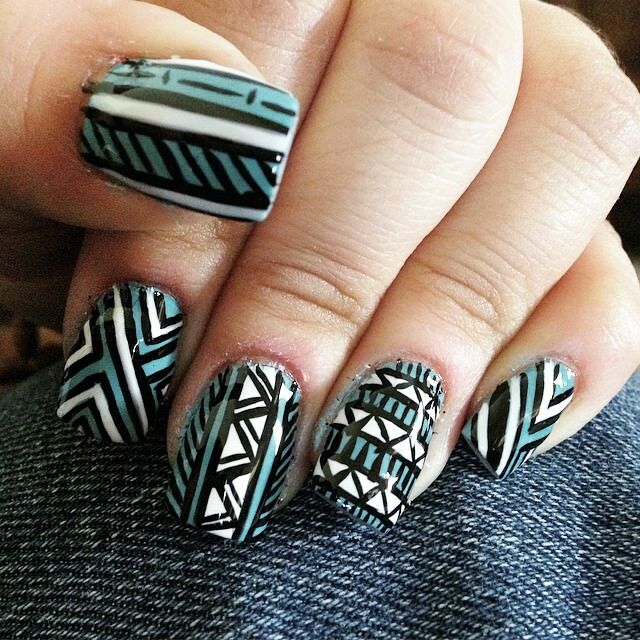 Then, a multi-colored tribal design will play the trick!Blue and white can make an amazingly attractive tribal nail design especially if it’s in a perfect match with the outfit. 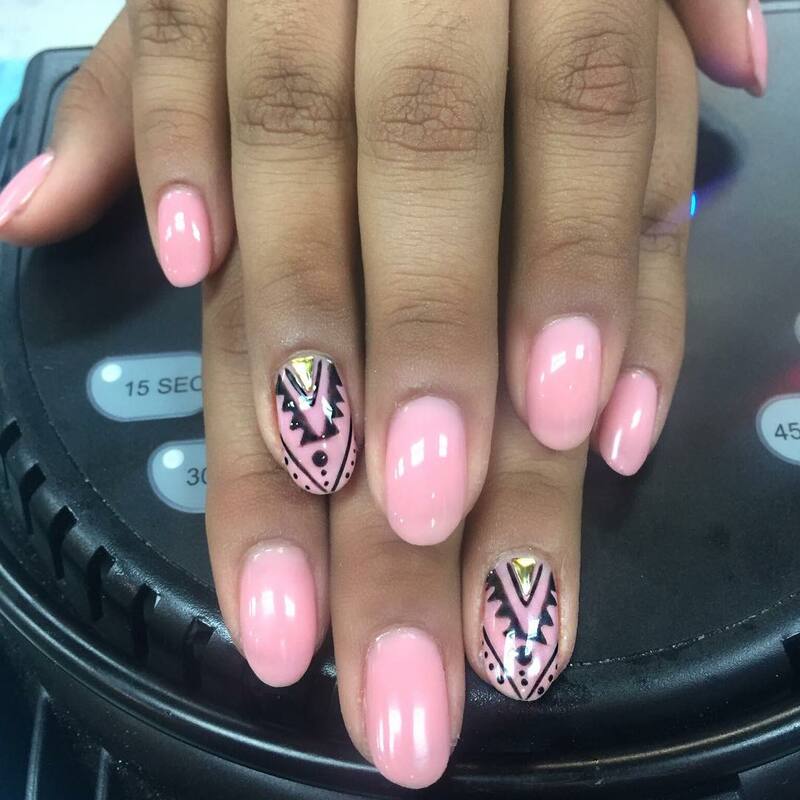 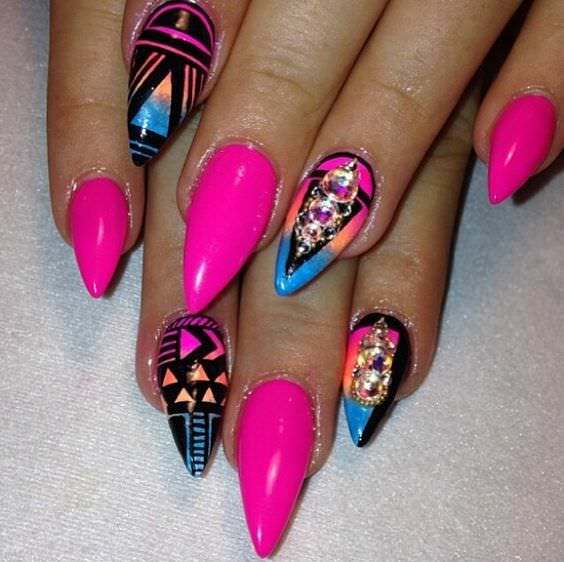 Patterning your tribal nails with a bright pink colour can be a great way of making a statement. 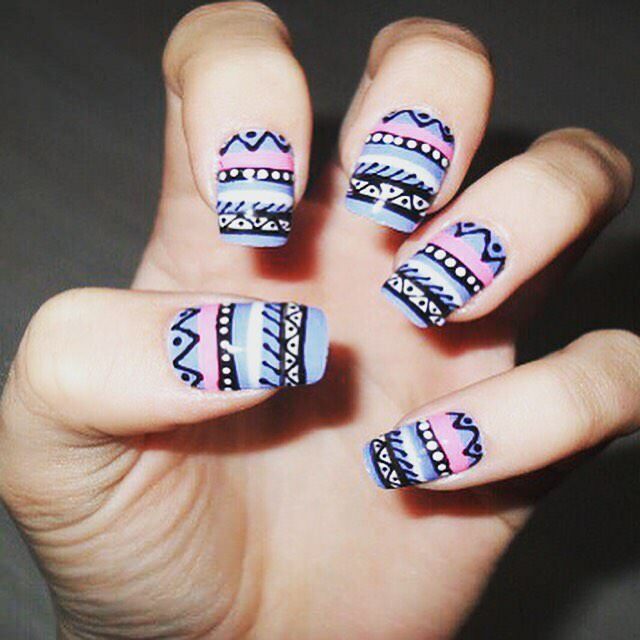 The pattern can look quite stylish if some of the nails are painted with the select shade of pink and creating unique motifs on the other nails with a blend of pink, black, orange, purple or blue.